Palestinians have made this lie into a major theme. For example, earlier this year the editor of Ma'an wrote, "The Jews are not a people and they are not a nation.....If we say that the Jews are a people, then there is no place for the Palestinian people on the land of Palestine." However. Mahmoud Abbas once admitted that the Jews were a nation - when talking to an Israeli newspaper and defending himself against his Holocaust-denying book written in 1984. 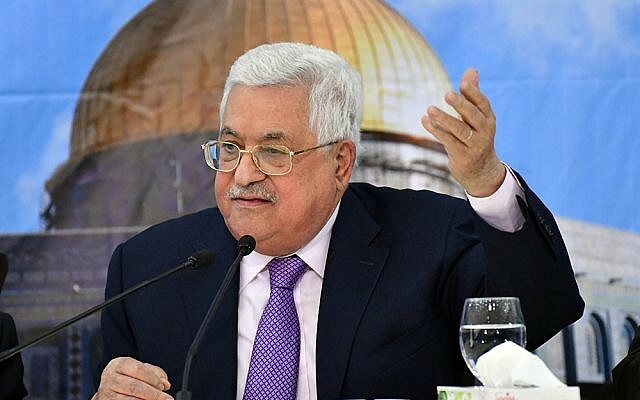 In 2003, in an interview with Akiva Eldar in Haaretz, Abbas said, "The Holocaust was a terrible, unforgivable crime against the Jewish nation, a crime against humanity that cannot be accepted by humankind. " So is there a Jewish people and a Jewish nation, or not, according to Abbas? Unfortunately, there are very few reporters willing to ask him about his contradictions and lies, of which there are many - including about the Holocaust itself, where he called the murder of six million Jews a "myth" and "a fantastic lie" before condemning it to Israeli reporters.